Picostone, a small startup from Mumbai, have a bunch of IoT controllers that can help you build a smart home for a fraction of the cost. Having a luxurious home is what everyone would love to have. But having a smart home within that luxury is something that everyone would dream of. However, smart homes don’t come cheap — it all depends on the type of smart you want it to be. From voice activation to automating everything at home using just your voice is what was portrayed in the famous movie Iron Man, where Jarvis was at the service of Tony Stark and with the help of robotics and IoT, the voice assistant Jarvis would take commands from Tony and do the needful. Would it not be nice where we could also have the pleasure and comforts of such things? Well, those days are not far away. While using voice commands to automate stuff at home is presently possible, they are limited. Using hubs and IoT switches, you can use Alexa and Google Assistant to control a plethora of appliances at home. But they don’t come in as cheap and can end up with you spending thousands of rupees on smart appliances that can work with voice assistants and smart speakers. To address this issue, small-time players in the IoT segment are working hard to help basic homes enjoy the luxury of smart homes, for a minuscule price. Picostone, a small startup from Mumbai, have a bunch of IoT controllers that can help you build a smart home for a fraction of the cost. And what is great here is that it can be installed in your present home without any investment of new appliances or accessories. 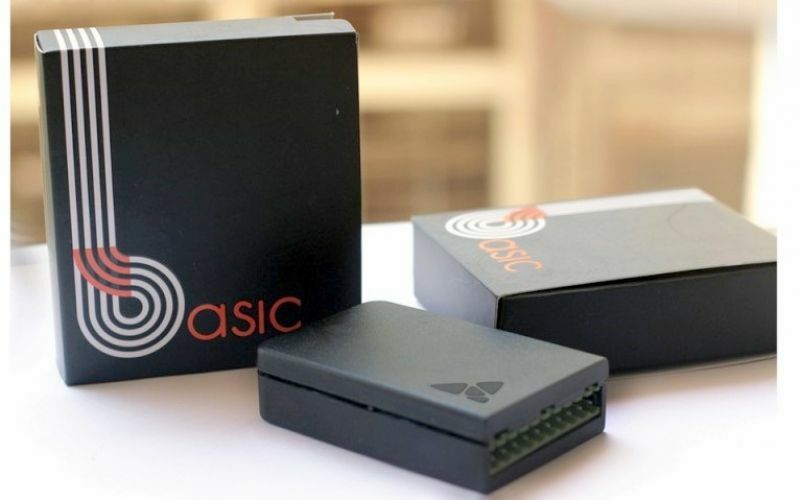 The Picostone Basic is an IoT controller that sits inside the gang box of any home and takes control of the existing lights and fans. 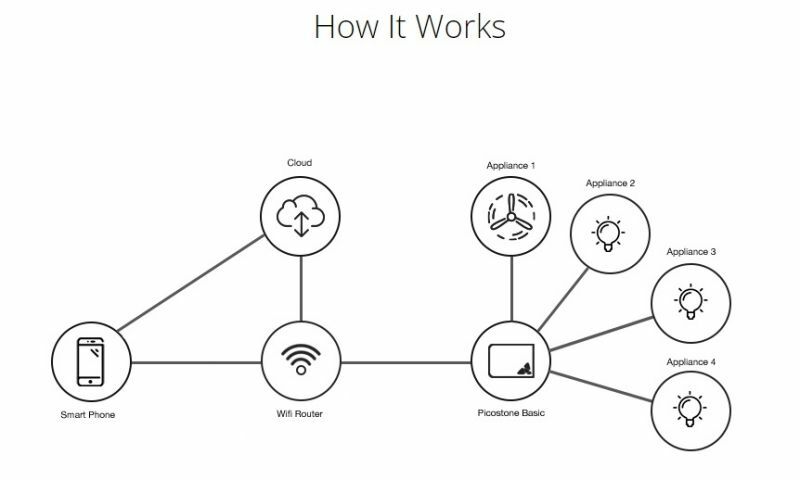 The IoT switch hooks up between the switch and the lights and fans and links up with your home Wi-Fi and waits for your commands over the internet. All one needs to do get the switch wired, install the app on your phone, sign up with a free account and you are almost done. Once set up, simply allocate each switch to the respective equipment — fan, light or dimmable lights — and tap your way into a remotely controlled smart home. When the Picostone is connected to the internet, you can control the lights and fans from anywhere in the world. 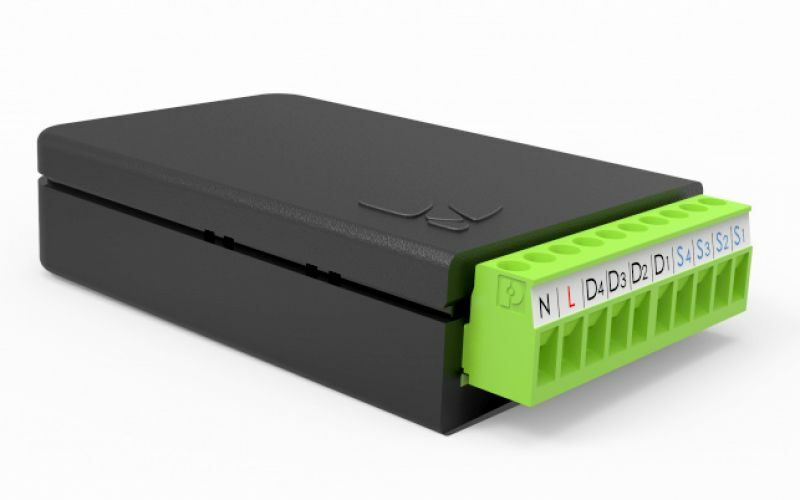 The Picostone Basic is a simple dud-looking black box, around the size of a large matchbox. It is built using a fire-resistant and heat-resistant plastic body. 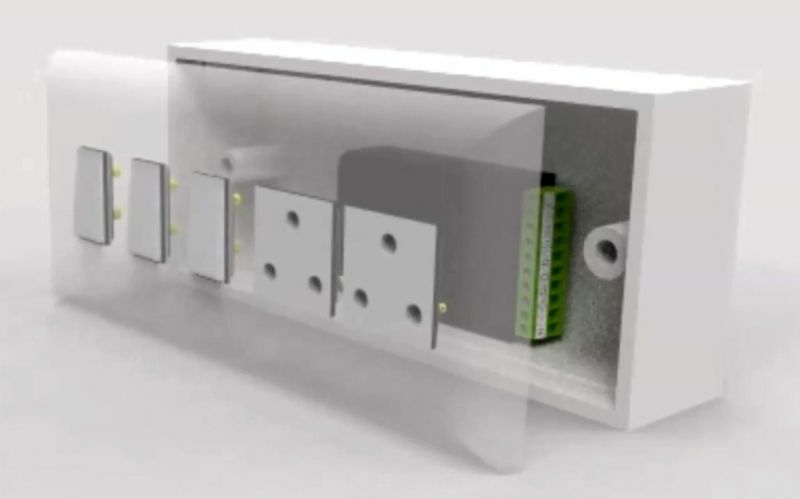 It has absolutely no buttons or switches, but just a simple 10-connector junction connector that needs to be wired to your existing physical switches and the appliance. 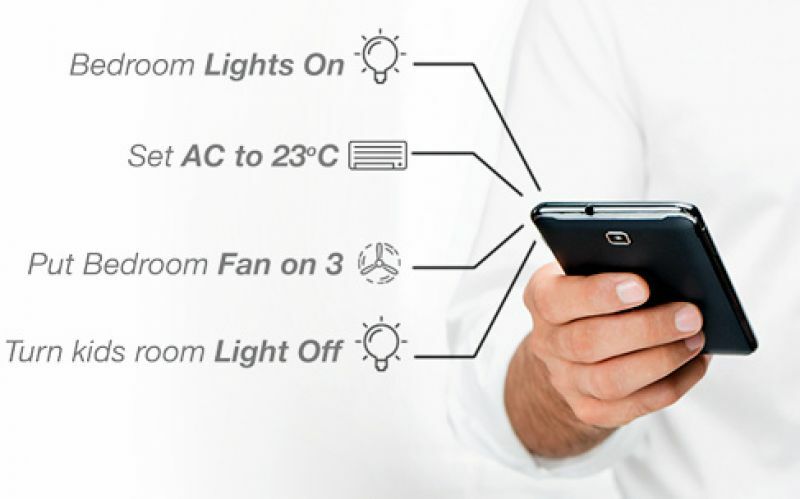 With this unit, you can take control of up to four appliances, be it fans or lights. All one needs to do is route each appliance via the Picostone to the switch, and add an additional live wiring for its power. You are set. While it is very simple for anyone to get this wiring done, you could also ask your local electrician or ask Picostone to have it installed for you for a nominal cost. The unit sits inside the gang box, hidden away completely, operating silently and efficiently in the background. There are no relays or mechanical switched inside. The Picostone uses an SCR (a.k.a. Thyristor) as a switch to control the power to the equipment. 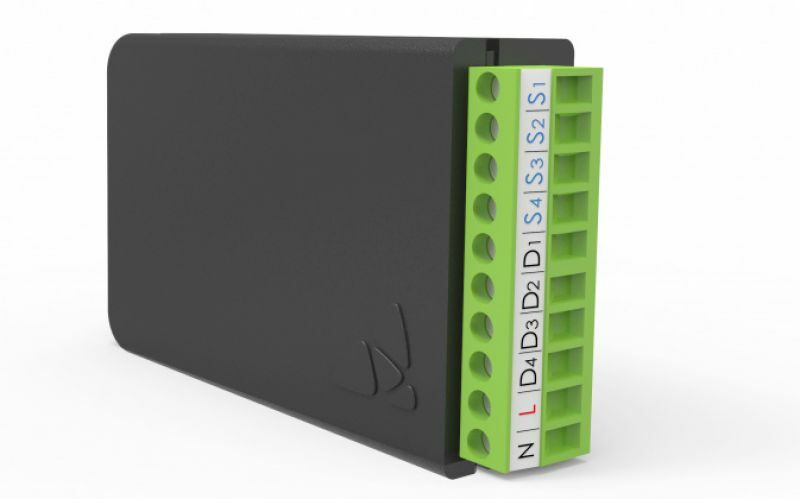 The Picostone connector has 10-connections, as mentioned earlier. Four are marked as S1, S2, S3 and S4, another four are marked as D1, D2, D3 and D4, one is Live and one is for Neutral. Let’s take a light or a fan for example — disconnect the wire running from the light or the fan to the switch and connect the wire to S1. The Picostone comes with a 1-metre wire that needs to be cut and used accordingly. Use a piece of this wire from D1 and back to the switch. Do the same with the remaining three S and D terminals respectively. Now, all that needs to be done is to connect the Live and Neutral wire to the Picostone for its power. The unit comes along with a second wire that has a fuse in-line with the same. 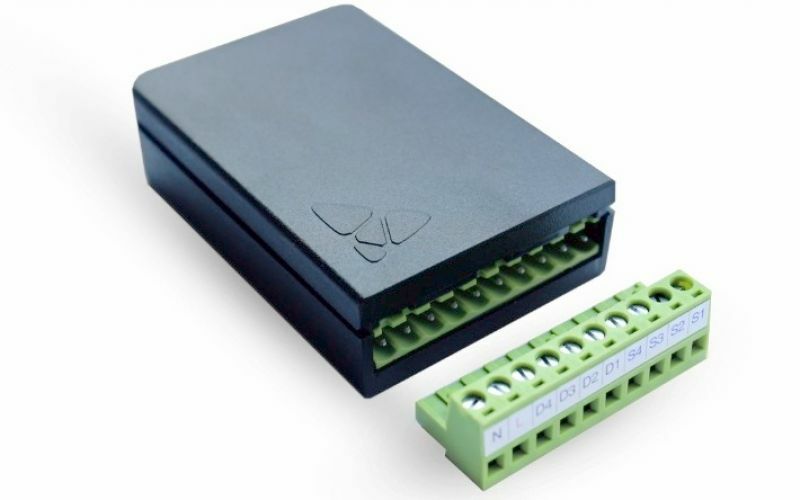 Use this wire for connecting the Live to any Live wire from the gangbox to the N terminal of the connector to ensure that the Picostone unit will be powered at all times. The Picostone uses this power (Live) connection to stay online 24x7. If you wish, you could also use a switch to turn off the Picostone if you are not using for a long time — for example, if you are moving out of town for a long time. Lastly, use the remaining wire to connect a neutral connection to the N terminal. Make sure that all the connections are done properly and nothing is left loose. You may need a flat-head screwdriver to get the wiring done and ensure that the main power is turned off during the installation to avoid any short circuits, shock or fire. Once all the connections are inspected and done, you can turn on the power to test things out. You should notice that the Picostone has a small red LED glowing towards the front of the unit. This will inform you that the Picostone is receiving power and is turned on. 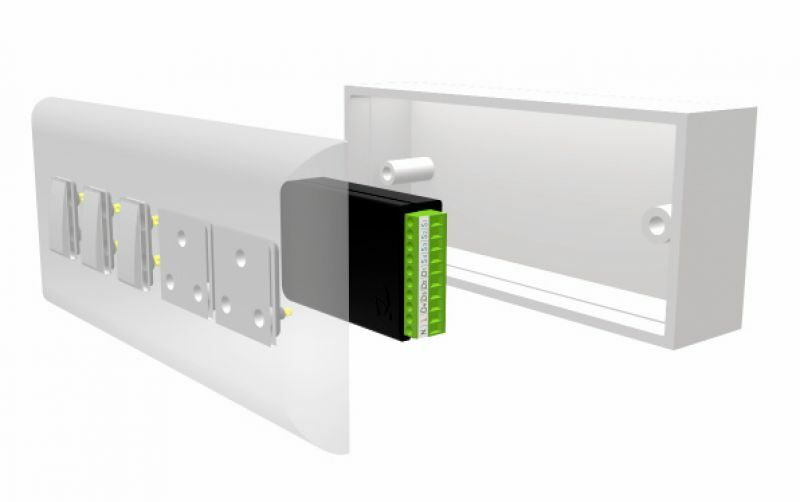 Now you can place the Picostone inside the junction box or gang box around a safe area where nothing is inconvenienced inside — especially the other wires around the box. You can now close the box and begin the installation from your phone. Install the app, sign in with a free account and you should be ready to go. The Picostone app will then guide you through the setup of the wireless network and each of the switches after that. If you are using an Android phone, then the app will inform you about connecting to the Picostone’s hotspot initially and then hook up to your local Wi-Fi. Apple users would have one more step where the user will have to latch on to the hotspot manually from the network settings on the iPad or iPhone. 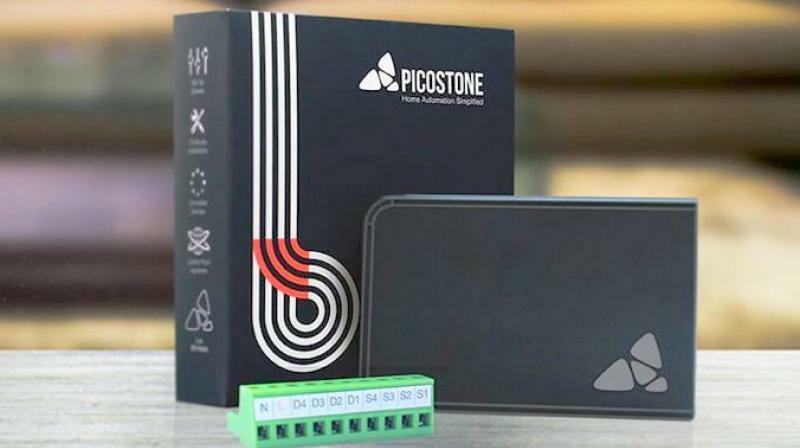 Once the initial setup is done, your Picostone should be online with your wireless connection. The app will then inform you about the Picostone’s present condition — namely Wi-Fi signal strength and the number of switches being active. Now all you need to do is create a room, set up each switch to what they would be connected to and give each one a name. The app is self-explanatory but will need a few minutes of learning. We spoke to the Picostone developers and gave them our feedback for the app and they have considered the feedback to make the app even simpler to the user. Hopefully, their next update will be even more user-friendly. Once you create the room, you can name it as Hall, or Bedroom, or whatever you need depending on where you have installed the unit. This will make it easier for you to control if you have more than one of these units installed in your home. Once done, the switches can be individually tweaked to function as a basic ON/OFF or Dimmer for the lights or as a regulator if it is a fan. Appliance now will be assigned a switch and a slider for controlling the power and speed accordingly. Apart from this, you can also create scenes for each room. Multiple scenes can be created depending on your taste of room lighting and fan speeds. For example, if you want that all your lights and fans turn on, a simple scene with all the appliances turned on can be created and hitting that scene button will instantly turn on all the equipment. Or for example, if you want that all the lights are turned off and only a centre lamp needs to be dimmed and all the fans turned on, you can set it similarly. As for the bedroom, you could control the lights and fans depending on your requirement. 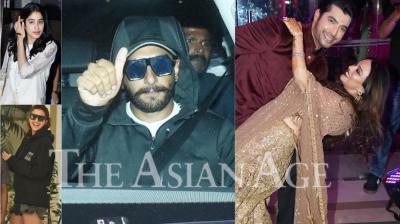 You can also set up a party mood if you like but have the number of lights installed accordingly. For example, if you are hosting a small party, and need all the white lights to be turned off and only the amber lights to be on and dim, you can set all this with a single scene button. The same works for a media room where all the lights can be dimmed to the lowest while watching TV. You can also schedule your lightings and fans according to your preference. For example, if you want that all the lights turn off and fans turned on from Time A to Time B, a scheduler can do it automatically. Lastly, since the app is linked with an account, you can also have additional users into your account. You could share the controls with your wife, children, house help and even friends so that they can control the lights too. However, the last controller will override the lights as usual. What is even more interesting is that if your spouse or children turn on the lights or fans or use a scene, you can also see it in your app that someone has been using it or is in that particular room. 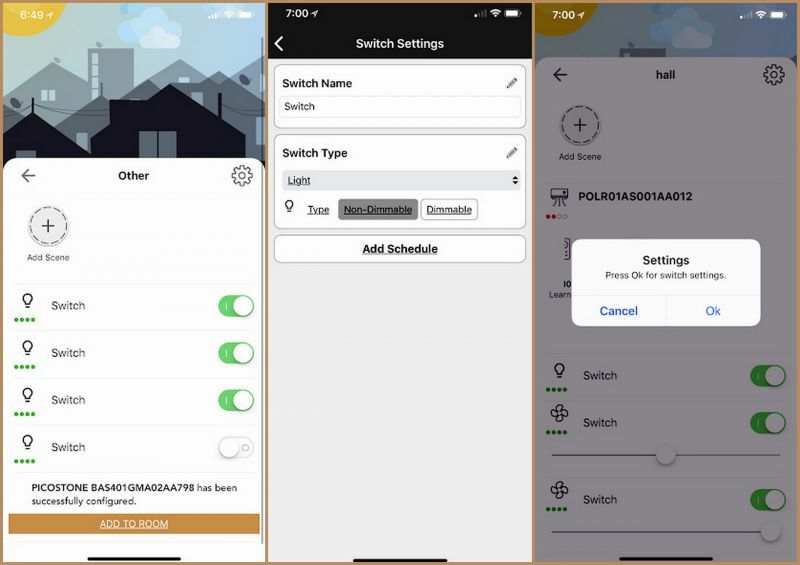 The apps sync in real time to inform you about the status of the switch at any given time. Another interesting feature is that the Picostone also allows the user to control the lights and fans using the physical switches (if used in-line with D and S). 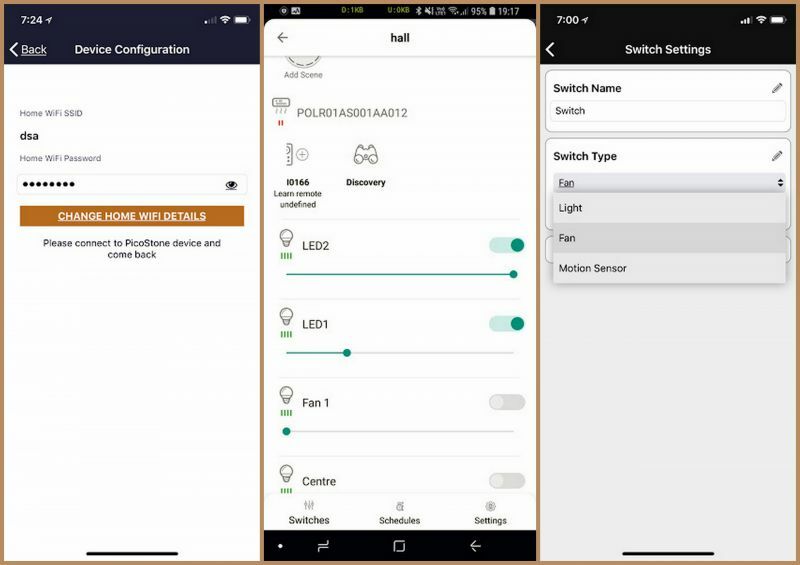 The switches can override the appliance with physical power, and even though it is overridden, you can still take control from the app. 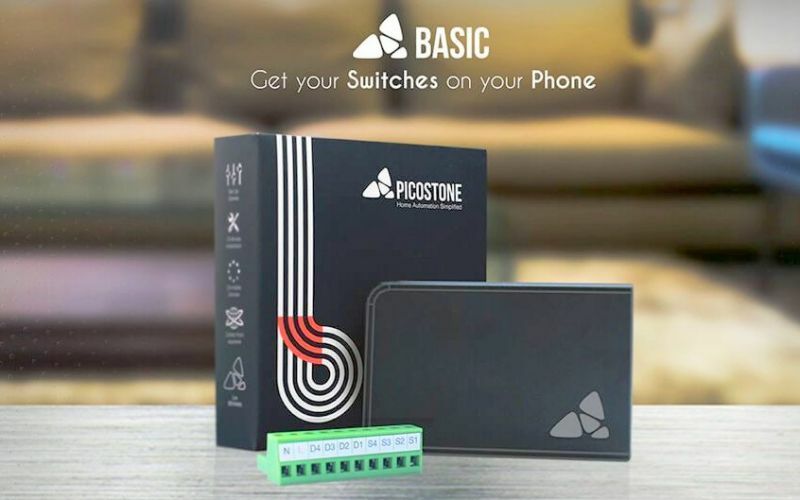 When using the Picostone with switches, you can also turn the entire grid into a two-way switch option where you can use the phone or physical switch at your command. However, the switches will behave in the last used function and not the actual way. For example, if the physical switch is in ON position and that light is turned OFF from the app, then putting the physical switch in OFF position will turn on the light. This is the way a two-way switch functions. You should also know that the Picostone uses power to keep itself on and alert for your commands. 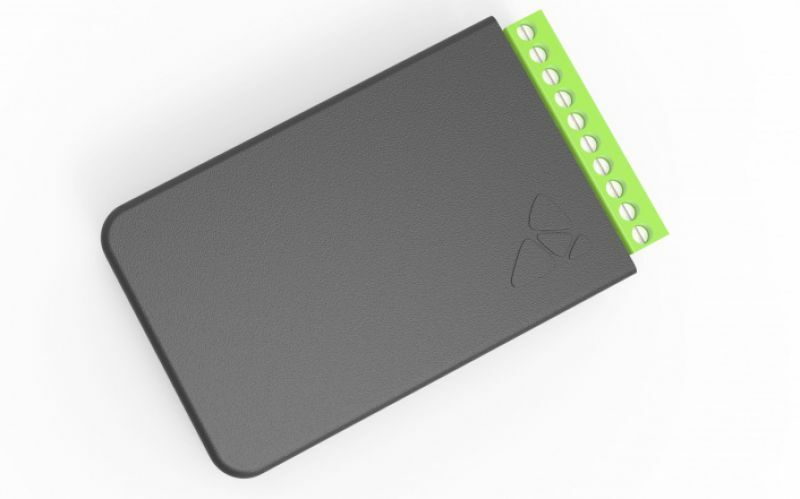 It connects to the main power and uses around 1 Watt of power, which is a minuscule amount of energy to be considered.